Project Rome - a test scenario. Following the end of the second Punic War, Rome began consolidating its foothold in a number of foreign territories and in particular Hispania. The two military theatres in Hispania continued their day to day operation and in 197 BC the Senate found it expedient to have them become administrative provinces, each governed by a proconsul. Hispalus would serve as the seat of government for Ulterior Hispania and Tarraco for Citerior Hispania. Our test scenario opens in the year 197 BC and proconsul and propraetor for each province have been given their assignments. The consular army for each province is at full strength, two Roman Legions and two allied legions bringing the combined total to 36 elements. For this test scenario, each proconsul will serve a term in which he is free to conduct military operations within the parameters set by the Senate and these are the consolidation of territories formerly held by Carthage. Carthage once controlled nearly half the peninsula and this year’s objective is to extend the current frontier two or three map squares. Each consular army has been split into two equal halves making four columns that may independently operate for the campaign year. All forces must return to winter quarters by November. After which new lots will be cast for the coming year and troops whose contracts have expired shall return to Italy. May Fortuna smile on your enterprise. Photo one shows the disposition of the four columns and photo two their initial move into the interior. Proconsul’s column: 4 x Cv, 4 x Ps, 4 x Bd, 4 x Ax, 2 x Sp based at Hispalus. Propraetor’s column: 4 x Cv, 4 x Ps, 4 x Bd, 4 x Ax, 2 x Sp based at Baria. Proconsul’s column: 4 x Cv, 4 x Ps, 4 x Bd, 4 x Ax, 2 x Sp based at Tarraco. Propraetor’s column: 4 x Cv, 4 x Ps, 4 x Bd, 4 x Ax, 2 x Sp based at Sagunto. In photo three, the cards dealt for the Roman player are displayed. The proconsul of Citerior Hispania has the option to play the diplomacy phase and does wishing to create a “Friend of Rome” (shown in photo four). The negotiation falls on deaf ears as the local tribal leader kindly says no thank you (photo five). Cards are discarded and new ones drawn for the next phase. Miffed, Rome attempts to gather revenue in a nearby region but is not successful, in fact Citerior Hispania has lost by suspicious means revenue as the Spanish player successfully counters the Roman bid (photo six). A counter is placed in the province to signify its loss. In phase three, as each column is well supplied, both Roman players will pass this phase but discard one low value card and replace it with a new card as seen in photo seven. The last phase also does not offer any possible bid, therefore both Roman players discard one more card and draw a new one. Spain has no armies in the field at the moment so her strategy at this time is to undermine any gains produced by Rome or impede army movement by sabotaging her supply. Photo nine display the cards for the Spanish player. With nothing to lose, Spain will raise rebellion in the area of Baetica (southern Hispania) to impede the Proconsul’s column. In photo ten, the Roman player cannot counter with the proper suite and now confronts its first hostile tribe. Spain attempts some skulduggery to inflict lost revenue for Rome, embezzlement was a favourite pastime back then (photo eleven). Rome losses the bid and a counter is placed on the map to be covered by an embarrassed Roman player’s cards. In the third phase, both Spanish players hope to inflict damage on Rome’s supply and this is successfully done in the Ebro valley (photo twelve). The Roman player in the south is happy to have saved his supply column as he now faces a hostile tribe. Spain is intent on giving battle against the Roman column in the south and will attempt to use a stratagem. Unfortunately, the attempt is foiled (photo thirteen) but the Spanish will meet Rome in the field. The Old Glory order of Spanish arrived yesterday afternoon and these are enough to build two Iberian armies, one using the 3Ax option and the other, 4Ax, one Celtiberian and one Lusitanian. I am pleased that these arrived earlier than expected and quickly cleaned, based and undercoated the two Iberians commands. Painting these two should not take long as I had been preparing for their arrival gathering painting information, searching the internet for photos of inspiring collections and of course background information. The “solid” troops will have more white tunics among the figures, possibly 60% and to contrast these, the second command will have a variety of earth and blue colour. The cavalry and light infantry figures were cast with javelins in contact with either their helmet or their shoulders. These were freed and reset in a different position which gives a better impression of variety. They are great castings despite that one shortcoming. 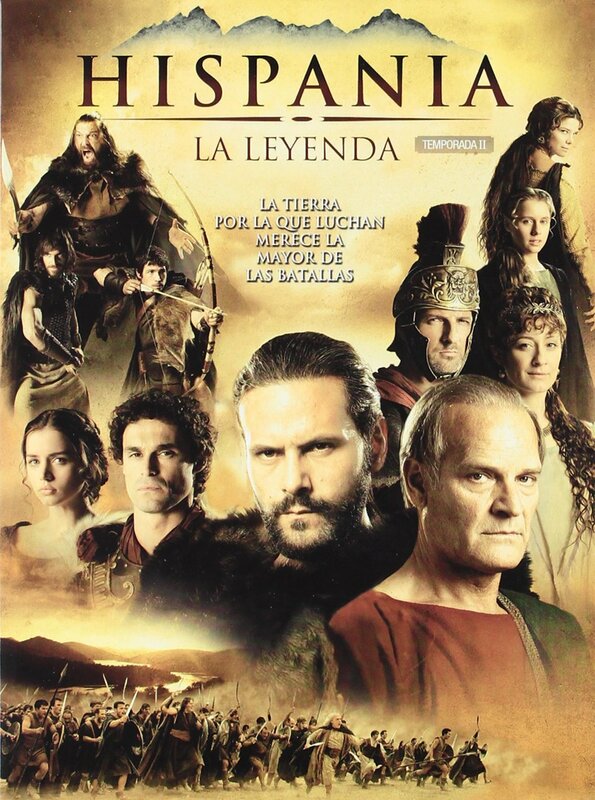 I have been following a Spanish TV drama called Hispania, the Legend which follows the life of Viriatho from shepherd to rebellion leader. Watching the series has given me ample ideas for clothing colour. This campaign system has been adapted from the Witcher game and omitting the fantasy elements the rules have been streamlined for ancients use. This newer version used the “war of fire” as coined by Polybius of Megalopolis (The Histories) as its theme and offered an opportunity to improve the conflict resolution and to enhance it with the addition of stratagems. Armies may move each turn and are only restricted by the type of terrain they move through. No die is used to influence activity or control as this has been replaced by a card system which allow players to outwit their opponent on four different levels. The numbered cards and face cards have a value and each turn (month) players try to accumulate enough points to confront their opponent and gain an advantage over their opponent in the areas of diplomacy, revenue, supply or movement. As cards are drawn from a standard card deck players will have to adapt their strategies to the cards they hold and make fresh plans. Any encounters between opposing armies on the map are resolved on the game board using DBA 3.0; the winner holding the square and the loser vacating it. Those of you who have played the previous DBA 2.2 are aware that battles may not always involve equal number of element and therefore, optional rules are offered to allow players to use stratagems such as flank marches, ambushes, deployment advantages and time of day to fight their battles on the game board; these will certainly add fuel to the “fiery war”. This project’s original design was to refine the Witcher campaign rules and it has served its purpose well. As an ancient campaign set this can easily be adapted for other areas or periods of history involving conquest, rebellion, and political prestige. Next post, play testing the campaign rules. Project Rome - The Campaigns in Hispania, 179 BC to 104 BC. The offices of Tiberius Sempronius and Lucius Postumius were extended another year with the same armies and reinforcements were enlisted; of the Romans, three thousand foot and three hundred horse, and of the Latine allies, five thousand foot and four hundred horse. – Book XL, XLIV. The proprætors, Lucius Postumius and Tiberius Sempronius settled between them that Albinus should march through Lusitania against the Vaccæans and return to Celtiberia. Gracchus was sent investigate the situation in Celtiberia. – Book XL, XLVII. Gracchus marched to the city of Alce, where the Celtiberians were camped. In this action, nine thousand of the enemy were killed, and three hundred and twenty taken, with an hundred and twelve horses, and thirty-seven military ensigns. – Book XL, XLVIII. After this battle, Gracchus ravaged the country of Celtiberia and in a few days received the submission of an hundred and three towns. – Book XL, XLIX. Ergavia, terrified by the disasters of the surrounding states, opened its gates to the Romans. Not all submissions were made with sincerity, but whenever the legions were led away from any quarter of the country the natives resumed their arms. The Celtiberians were defeated and concluded a peace. Lucius Postumius fought two battles in the farther Spain with the Vaccæans. – Book XL, L.
In the distribution of the provinces Marcus Titinius received Hither Spain and the Farther Spain went to Titus Fonteius Capito. - Book XLI, I. Two triumphs for conquests in Spain were successively celebrated; the first to Sempronius Gracchus triumph over the Celtiberians and the second Lucius Postumius over the Lusitanians. – Book XL, VII. The consuls were ordered to send into Spain, to Marcus Titinius, one legion, with three hundred horse, and five thousand foot, and three hundred horse of the allies. - Book XLI, IX. It was ordered that Marcus Titinius and Titus Fonteius, proconsuls, should remain in Spain and be sent reinforcements totalling three thousand Roman foot with three hundred horse and five hundred Latine foot, with three hundred horse. – Book XLI, XV. New assignments for Spain; Cneius Servilius Cæpio would receive Farther Spain and to Publius Furius Philus, Hither Spain. —to each, three thousand Roman foot, with one hundred and fifty horse, and five thousand Latine foot with three hundred horse. – Book XLI, XXI. In Spain, the Celtiberians on the arrival of Appius Claudius made attack on the Roman camp. Before the second hour, they were driven from the field with the loss of fifteen thousand dead and thirty-two standards taken. - Book XLI, XXVI. At the end of the year, a thanksgiving was awarded to Appius Claudius, proconsul. – Book XLI, XXVIII. New troops for Spain, three thousand Roman foot and two hundred horse. - Book XLII, I.
Numerius Fabius on his way to take office in Hither Spain, died at Marseilles. Publius Furius, the former governor, would continue until a replacement is chosen. – Book XLII, IV. The prætors for Spain applied for reinforcement; Marcus Junius for Hither Spain and Spurius Lucretius for the Farther and both were denied. – Book XLII, X. During the year in which Aulus Hostilius Mancinus and Aulus Atilius Serranus were consuls, the Celtiberians raised disturbances in Spain. - Book XLIII, IV. The senate voted to raise three thousand Roman foot and three hundred horse for Spain. The number of men in each legion was limited to five thousand foot and three hundred and thirty horse. In addition, four thousand foot and three hundred horse would be levied from the allies. – Book XLIII, XII. The senate decreed that Spain, which, during the Macedonian war, had been but one province should be again formed into two. Lots were drawn for which Cneius Fulvius received Hither Spain, and Caius Licinius Nerva, Farther Spain - Book XLV, XVI. The war in Spain discouraged the citizens of Rome as it was thought that the consul Claudius Marcellus had reduced Celtiberia to a state of tranquility. His successor, Lucius Lucullus found himself is engaged in war with the Vaccæans, Cantabrians and other nations of Spaniards. The prætor, Servius Sulpicius Galba, fights the Lusitanians unsuccessfully. – Book unknown. Lucius Scribonius, tribune of the people, proposed that the Lusitanians who had surrendered on the faith of the Roman people and had been sold in Gaul, by Servius Galba, should be restored to liberty. - Book XLIX, unknown. Viriathus, in Spain, a shepherd and later general of a powerful army, vanquished the prætor, Petillius out of Lusitania and put his army to flight. Caius Plautius, prætor, sent against him; is equally unsuccessful. So successful was Viriathus that it was deemed necessary to send a consular army, against him. – Book L, unknown. Quintus Fabius, proconsul, takes many cities of Lusitania, and recovers the greatest part of that country. Quintus Pompeius, consul, subdues the Termestines, in Spain; makes peace with them and with the Numantians. – Book LIV, unknown. Marcus Popillius, having made peace with the Numantines, which the senate refused to ratify, is routed, and his whole army put to flight. – Book LV, unknown. In the Farther Spain: Marcus Æmilius Lepidus engages the Vaccæans, unsuccessfully, and is as unfortunate as Mancinus was against the Numantines. – Book LVI, unknown. The war in Numantia, owing to the ill conduct of the generals continues; the senate and people voluntarily confer the consulship upon Scipio Africanus. The law, which prohibits any man from being elected consul a second time, is dispensed with. – Book LVI, unknown. Scipio Africanus lays siege to Numantia. Reduced to strict discipline the army compelling every man carries provisions for thirty days and seven stakes for their fortifications. Further, Scipio sold all the beasts of burden so that the soldiers might be forced to carry their own baggage. He engaged in frequent skirmishes with the enemy, with good success. The Vaccæans, being reduced to extremity, first, put their wives and children to death, and then slew themselves. Numantia was closely invested on all sides, he gave orders, that those who came out, in search of victuals, should not be killed: saying, that the more numerous the inhabitants were, the sooner would their provisions be consumed. – Book LVII, unknown. The Cimbrians, having ravaged all the country between the Rhine and the Pyrenees, pass into Spain; where they continue like depredations. The Cimbrians are put to flight by the Celtiberians: and returning into Gaul, they join the Teutons. – Book LXVII, unknown. This legion is finished and ready for varnishing. While drying I will continue painting the second Roman legion using the same colour scheme; red-brown shields with no emblazons, white tunics and black plumes. Using efficient and economical brush strokes the second legion should be done in two days. I have not had a paint brush in my hand during the month of writing for the Witcher project and it is surprising how quickly painting skills become slack. I imagine by the time I finish the Latin legions I should be up to speed. I decided not to paint the tunics red, but white which will have the plumes and shield stand out and keeping to one shield colour will help unify the collection. One more Roman legion and a general (Cv) will bring the total number of completed elements to the half way mark. I shall be ordering the Hispanic figures next week. Project Rome - post 2nd Punic War. The campaign-siege rules, army lists and scenarios for the Witcher Project are complete and now start the final stage of intensive play testing all scheduled for this summer and fall. I am pleased with the development of the siege rules, however, the campaign rule set does demand the reader to have a good knowledge of events in the game series which does have its drawbacks and the integration of magic will require much experimenting. Rather than wrestle with this problem I have opted to design a solid ancient campaign system on which the fantasy-magic elements could be later added. This brings me to the topic at hand, why the selection of Rome of the post 2nd Punic War? 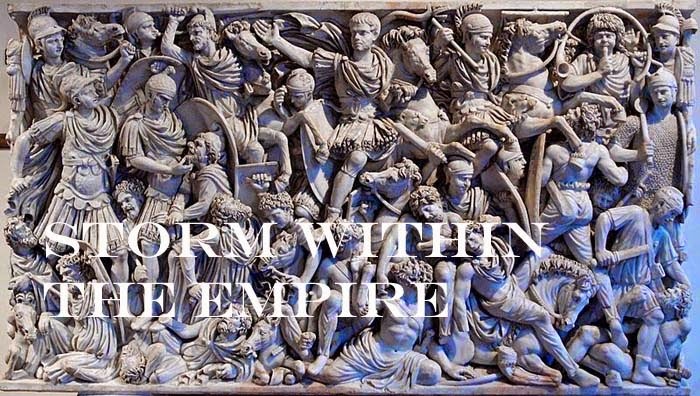 Most importantly, this was a period when Rome developed an efficient military system which overcame the setbacks experienced during the 2nd Punic War and one that eventually overcame the variety of fighting styles of new enemies. Rome of the mid-republic is well known for the wars against Carthage and Macedon but after reading Livy’s History of Rome, I found the long and difficult campaigns in Iberia and Liguria would serve well for what was needed; campaigns of conquest, large and small scale conflicts, plenty of treachery, and sieges. Lastly, the project would require new figures to be collected and the construction of new terrain pieces for Hispania. Looking at the DBA 3.0 army list we have 2 x Cv, 4 x Bd, 2 x Sp, 2 x Ps and 2 x 3Ax/4Ax which are allies. Reading Livy and Polybius, Rome raised consular armies for campaigns which comprise of two legions raised from Roman citizens and two legions from the Latin provinces. I plan is to build a big battle size collection and tripling the quantities should bring the totals to a suitable size, however, I found the proportions Roman to Latin were not quite right. To solve the disproportions, I approached the elements issue from a different angle. Each legion in the consular army is comprised of 1,200 velites, 1,200 hastati, 1,200 principes, 600 triarii and 300 cavalry, bringing a total of 4,800 infantry and 300 cavalry. Two such legions conscripted from the Roman citizenry and another two from the Latin allied provinces will bring the total force to around 20,000. In exceptional circumstances, the numbers could be increased, but the proportion of Roman to Latin would remain consistent. Using the historical ratio given at page 14 or the rule book, the number of elements for a consular army are now 2 x Ps, 4 x Bd, 1 x Sp and 1 x Cv per legion Romano and 2 x Ps, 4 x 3/4Ax, 1 x Sp and 3 x Cv per legion Latini bringing the total number of elements to 36 including the two consuls (Polybius gives allies thrice the number for allied cavalry). Reading Livy’s account of the Hispanic campaigns, it was common to split the consular army into wings (1 Romano and 1 Latini legion) with each undertaking different objectives which works well for the number of scenarios I have planned for. I do not expect this project to surpass the Severan work as the number of armies required to be collected will be relatively small in number. I do think the project will achieve its primary goal and that is the development of a solid campaign system.